Saul was the right and proper king, living in luxury. David, a secretly anointed king, lived in a desert, scrambling to survive. Saul had a professional army; David had a band of outlaws. Twice David could have killed Saul. He didn’t, knowing that was God’s job. David was on the run, dealing with locals who turned him in twice (23:19; 26:1). David’s situation was deteriorating as Saul’s mental state was. He had popular support, even among his neighbors. Soon, he’d leave Israel and become a hired hand for the Philistines (1 Samuel 27:1). 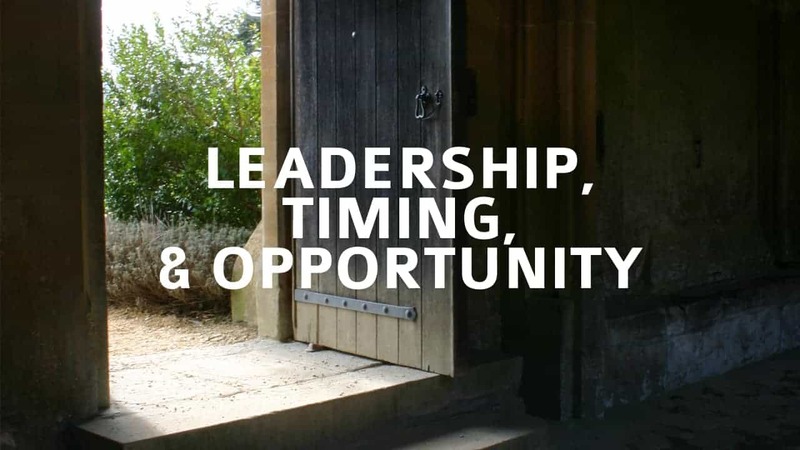 David has a sense of God’s timing, essential to leadership. You need to know when to act boldly and when to wait; when to bend and when to stand.